Alabama’s biggest, trophy largemouth bass are taken from this small lake each winter. 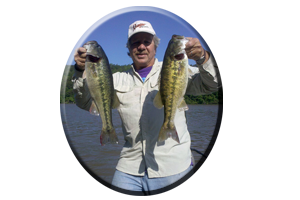 Dozens of largemouth bass from 12-16 pounds have been caught in the past dozen years from Jan-March on Lake Harris. This small lake (10,660 acres – 27 miles long) was impounded in 1983 and is Alabama’s youngest impoundment. This could be the last reservoir to be built in Alabama for a long time. During impoundment, wood cover was left in Lake Harris to enhance the growth of the many resident bass, most of which once lived in surrounding farm ponds, small lakes and creeks, including native bass species. This impoundment of Lake Harris inundated the Big Tallapoosa River and the Little Tallapoosa River. Many stumps, standing timber and brush have long since deteriorated away or broken off, due to severe lake draw down each year (the lake is drawn down from 8 feet to 15 feet at times during winter months). Many bass exceeding the “Magical 10 lb. 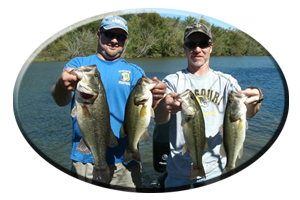 Class” are caught in or near deep water, especially when water temperatures are in the low 50′s-down into the low 40′s. Lures fished around deep points, islands, humps and old river channel ledges should include; 1/2 ounce rattling jigs with pork or plastic trailers-black and blue or brown and orange combinations, Carolina-rigged lizards, worms or crayfish imitations-natural colors in clear water and darker colors of black, brown or purple in stained water conditions. 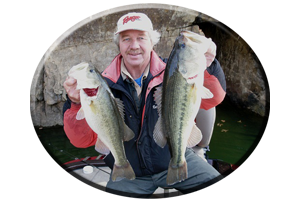 Some huge bass are caught on these combos each winter in water depths of 5 to 25 feet deep. Very slow presentations are needed during slow bite periods and stained water. Vary your lures and leader lengths on the Carolina rig. 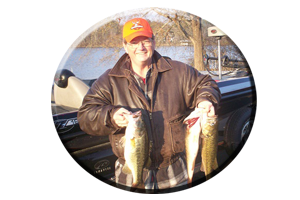 Try several different sizes of each lure, various styles and experiment with lure colors. Experimenting with trailers of pork, plastic chunks or crayfish imitations, attached to the hook of the jig, will help you determine the day’s bite. Spinnerbaits also take a lot of these tackle-testing giants, from the shallow to deep water drop-offs. This especially holds true while winter fishing around wood and rock cover in the mid to lower lake region. Heavier model spinnerbaits are favorites due to water depths, castability and generally bigger bass bites. Big blades in sizes of #7 and #8 in both single and tandem, with either Colorado or Willowleaf blades, can be a matter of personal preference. However, Colorado blades are better felt by the angler and produce more vibrations in cold water for the bass to home in on. Gold blades are better seen by the bass during stained water conditions. Vertical jigging 1/4 to 1/2 oz. spoons in depths of 10-25 feet (or deeper) can entice some big bass bites. Deep-diving crankbaits and rattletraps fished with a stop-and-go retrieve, long casts, and a very slow presentation, entice these somewhat sluggish bass into biting. 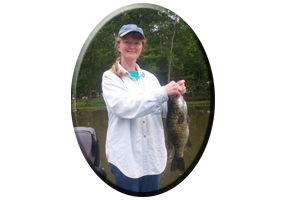 * Or you can call always call on Reeds Guide Service (205) 663-1504 for fishing Harris lake or any Alabama lake, year round!